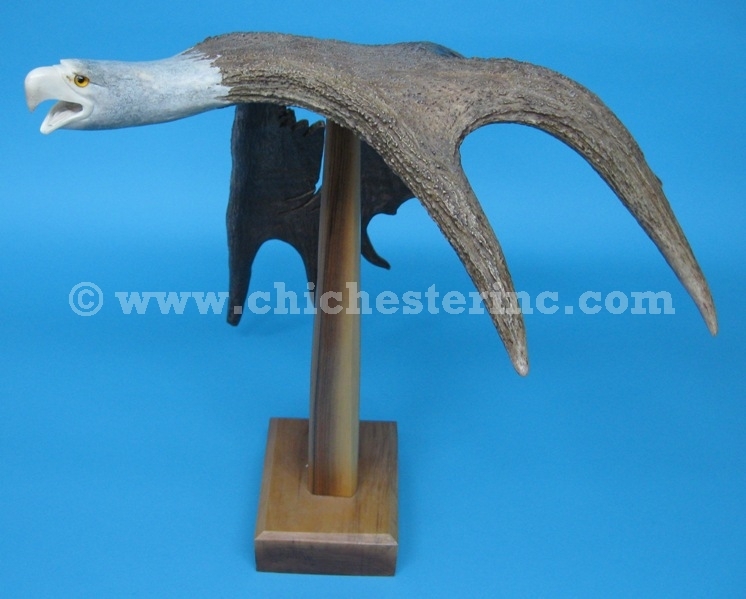 These are handmade carvings made from moose antler by Native Americans in Canada. Each has a unique theme. They may come with or without a stand. Our Gxx codes denote individual pieces. If you would like to order a specific carving, please go to our Gallery to pick the exact one shown.